Max Levy leads his own group that performs a variety of originals and straight-ahead jazz music. They have been featured throughout the United States, from the East Coast to the Midwest. Max can also be seen playing with big bands, pit orchestras, and other ensembles. Max currently resides in Kansas City, MO, where he works throughout the region performing at prominent venues. 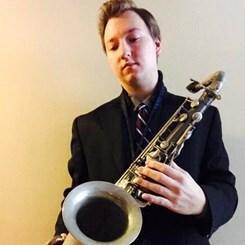 He has studied and worked with such legendary saxophonists as Bobby Watson, Dan Thomas, Dr. Frank Bongiorno, Benton Hill, and Rob Holmes of the Navy Jazz Commodores. Request Lessons with Max Levy today!